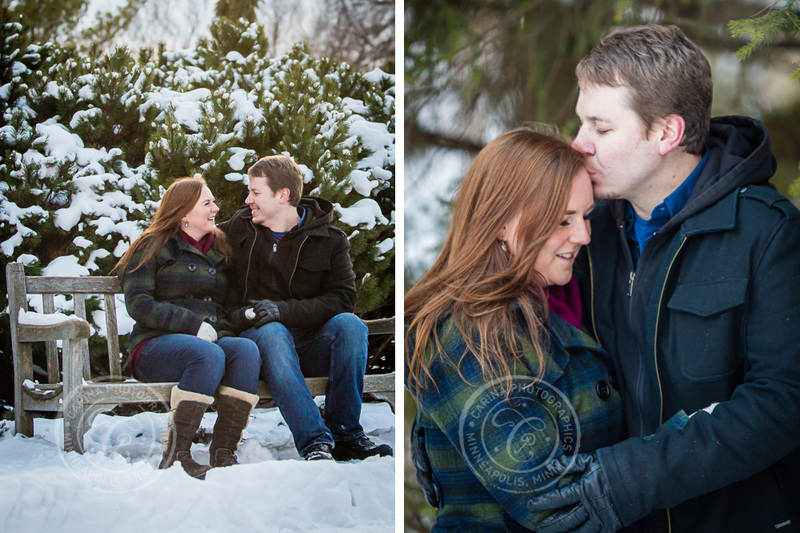 After warming up for a few minutes following our freezing walk around the corner to the museum, we were able to jump right back into the swing of things, and got some amazing photos of the two of them. 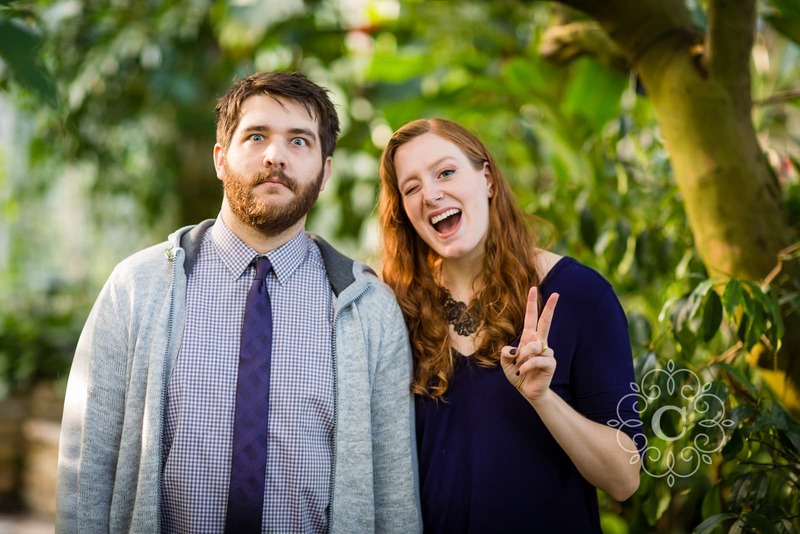 Luckily, we were visiting the museum during the later half of a weekday, so there were not many members of the public to contend with. 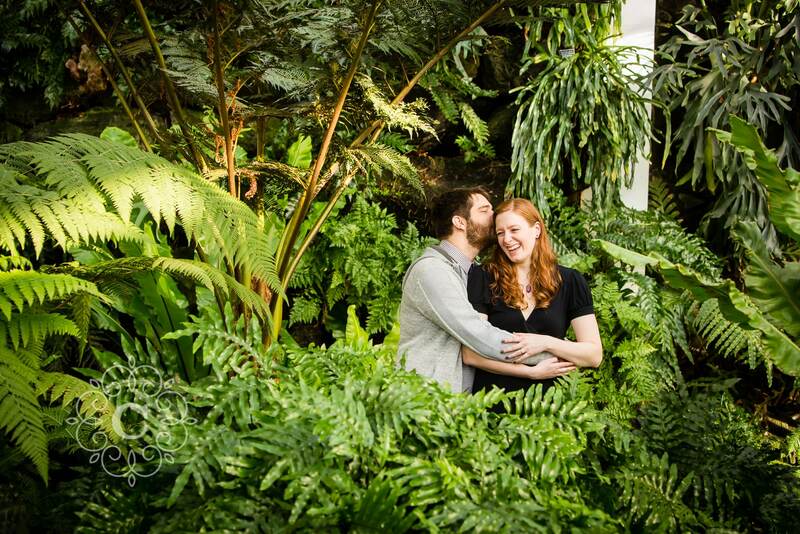 We were able to spend lots of time there having fun around the beautiful venue. 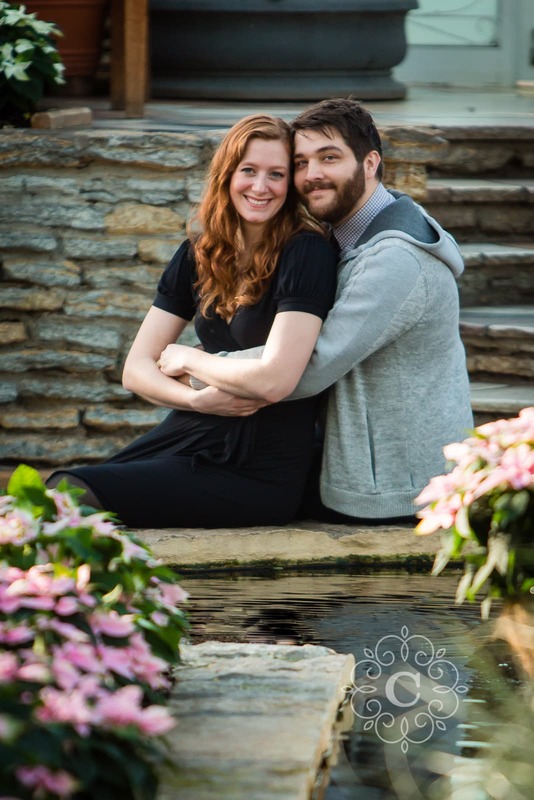 Congratulations Katie and Bob! 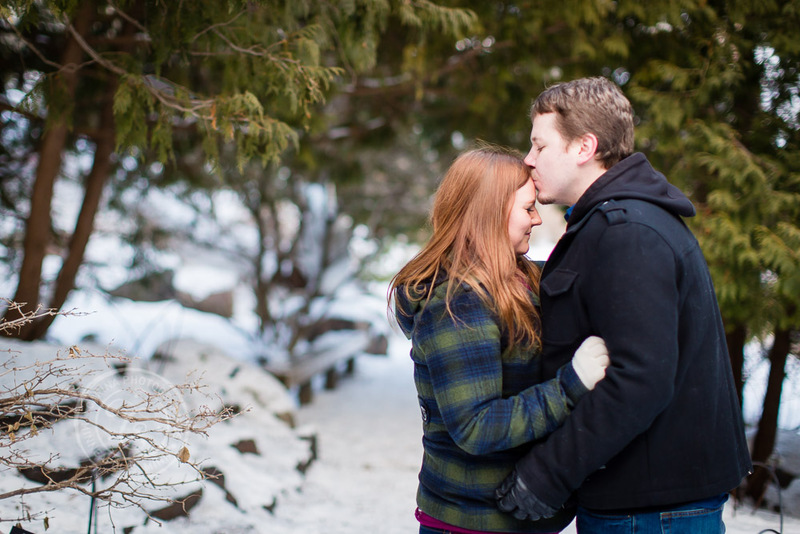 Thank you for hiring me as your Minneapolis engagement photographer. 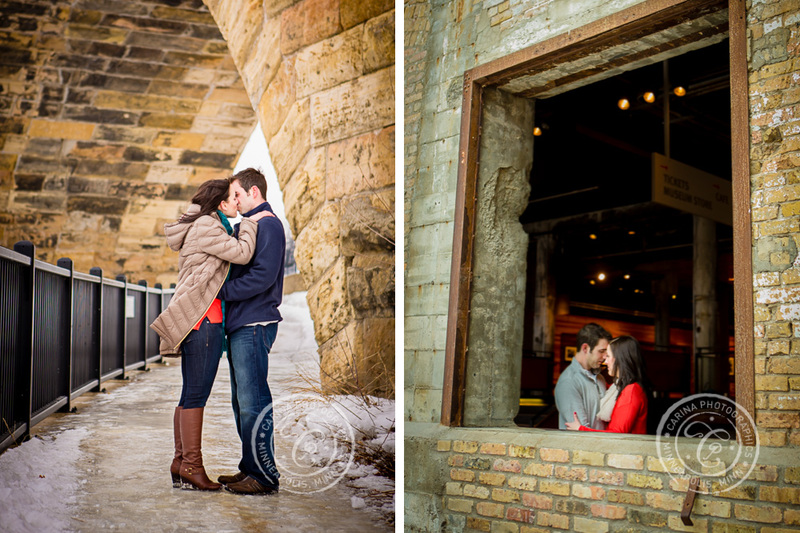 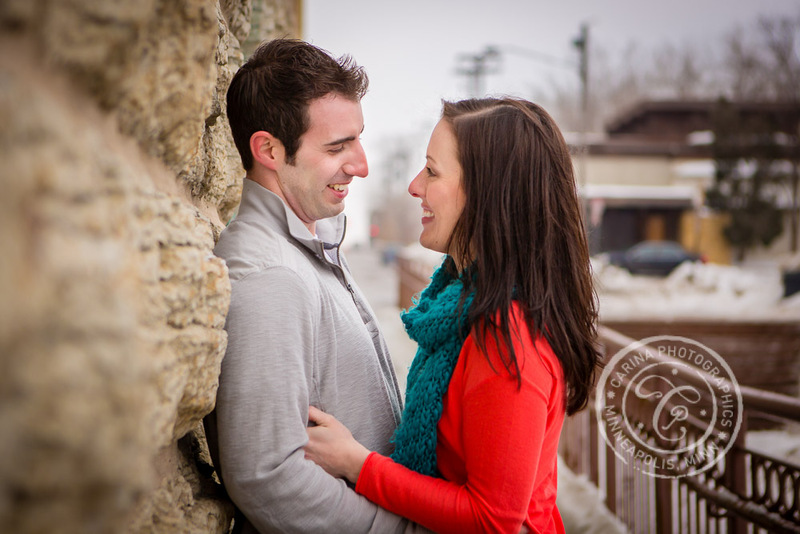 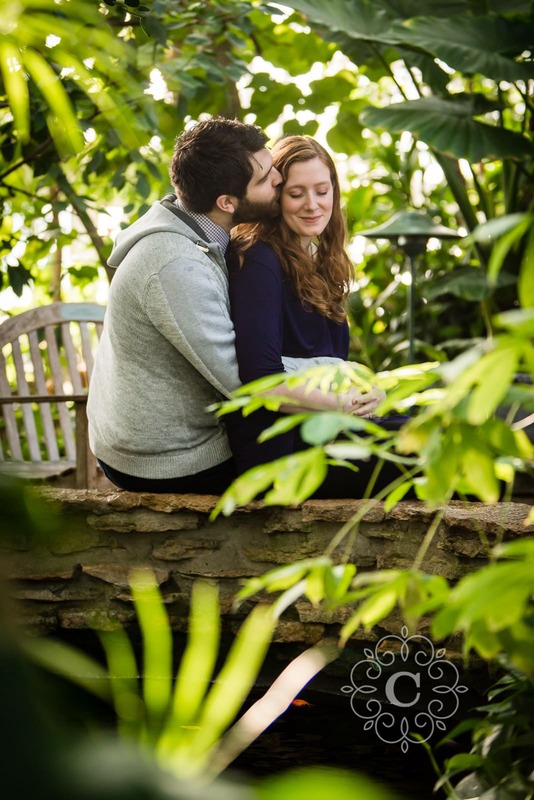 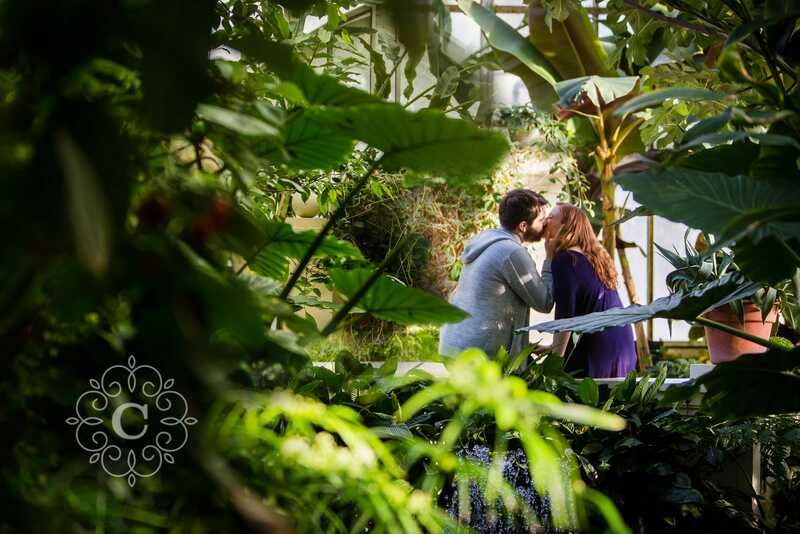 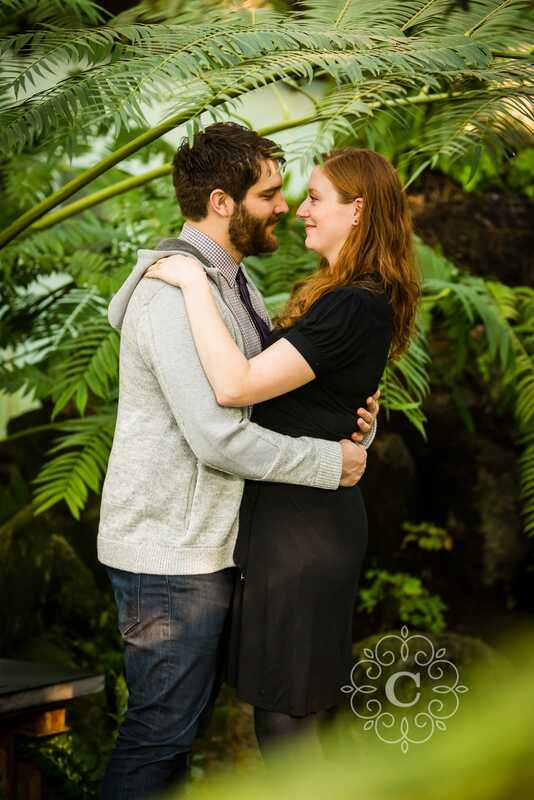 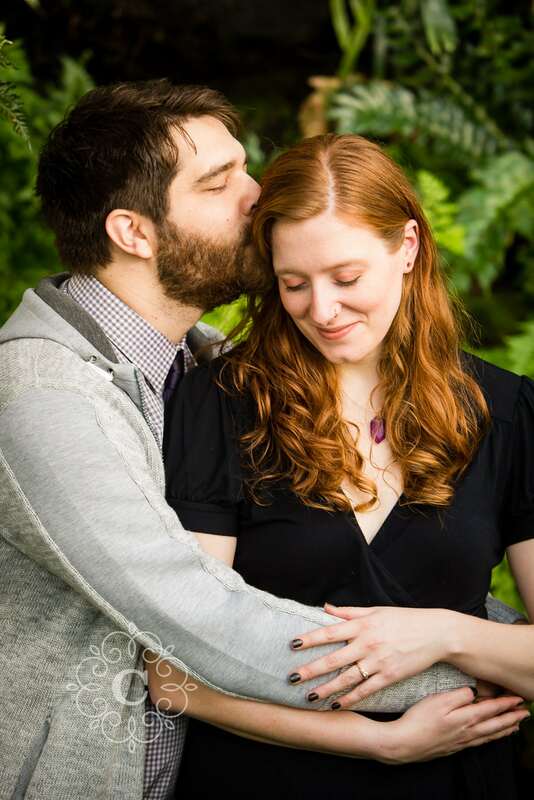 I had so much fun on your Mill Ruins Park and Mill City Museum engagement photos. 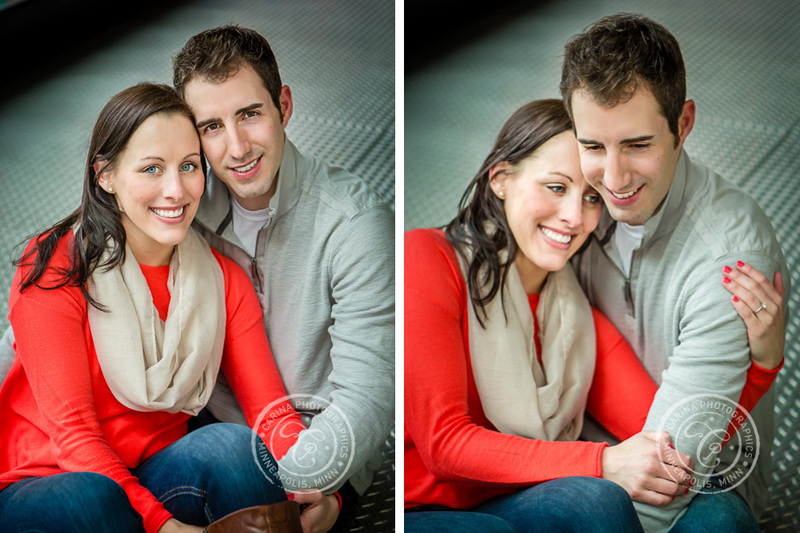 And I’m so excited to photograph your wedding later this year! If you’re planning for Mill City Museum or Mill Ruins Park engagement photography or prewedding session, contact me soon! 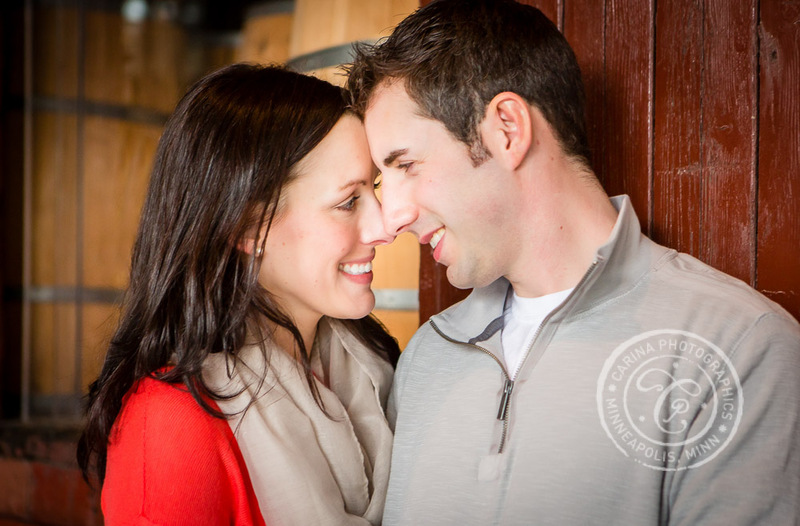 ETA: Check out Katie + Bob’s beautiful Cottage Vineyard & Winery wedding photos too! 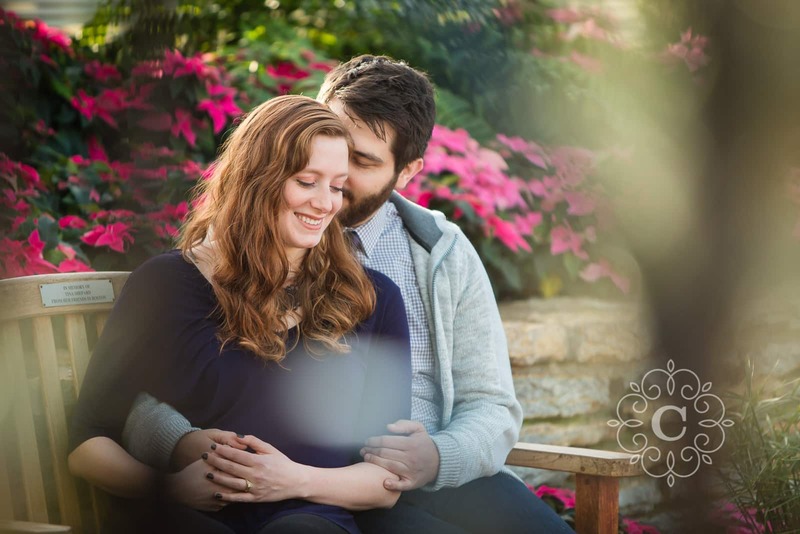 ETA: Be sure to take a look at Alison + Steve’s Mill City Museum engagement session and Danielle + Emmanuel’s Mill City Museum engagement photos too! 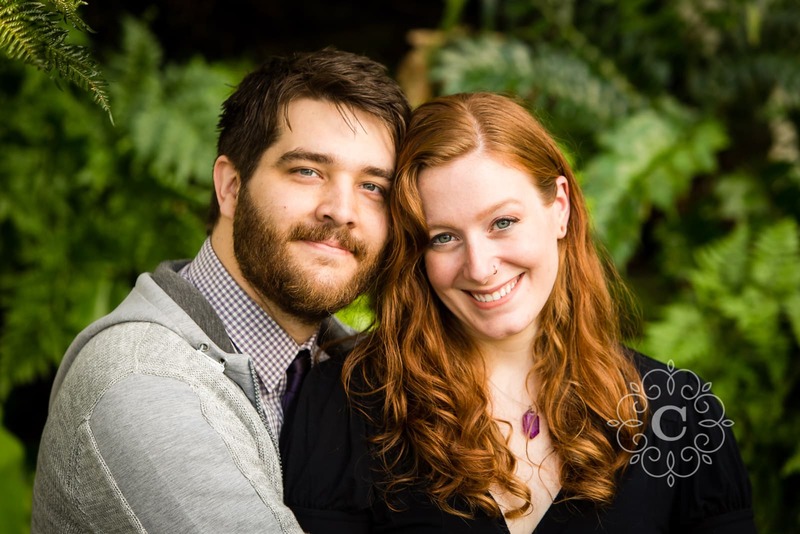 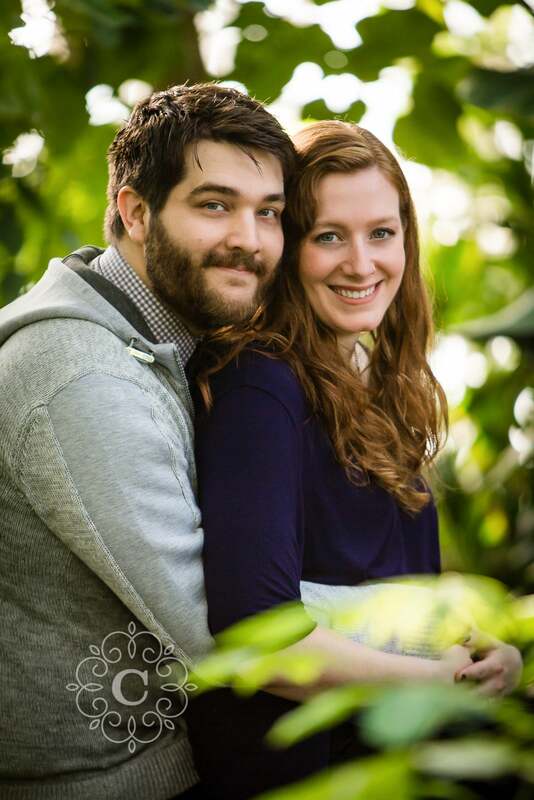 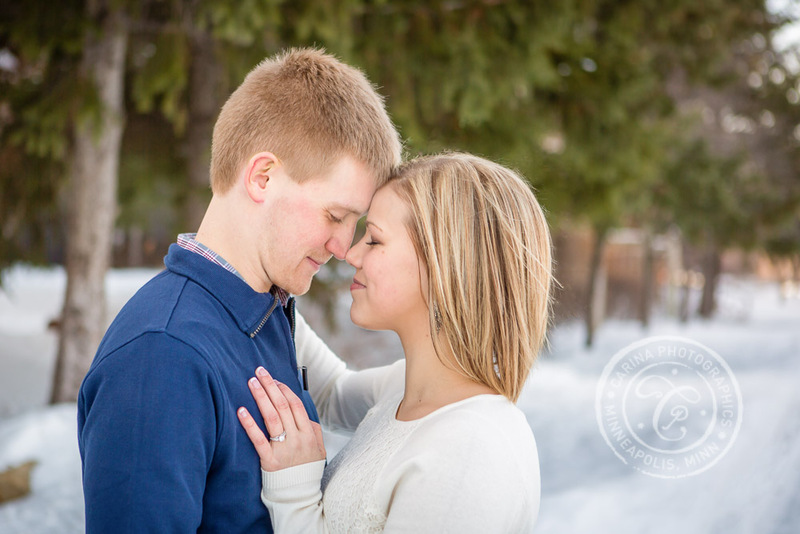 Amanda and Dan were engaged in December of 2013. 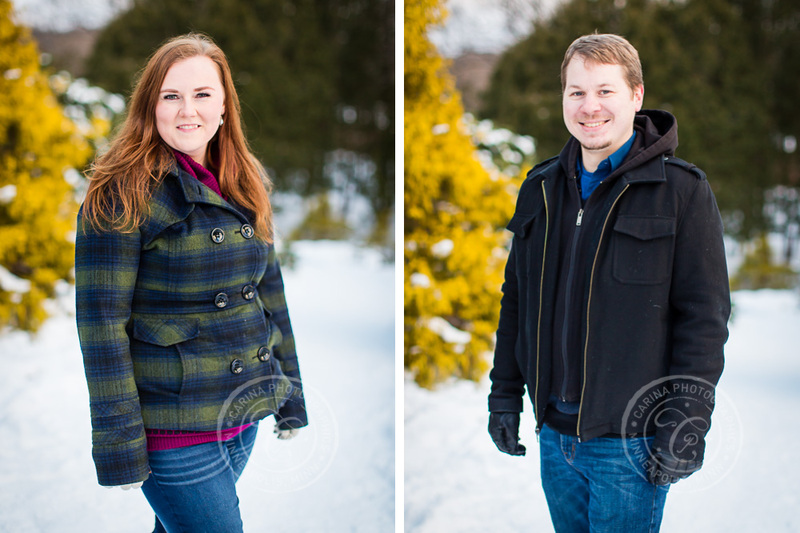 They were excited to have their Centennial Lakes Park engagement photos taken at the same location and time of year that they were engaged. 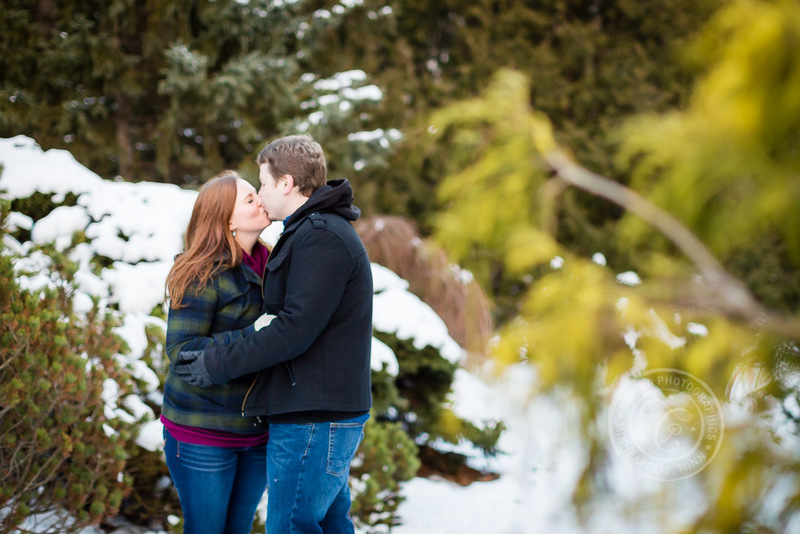 We went to Centennial Lakes Park because that is where Dan proposed to Amanda. 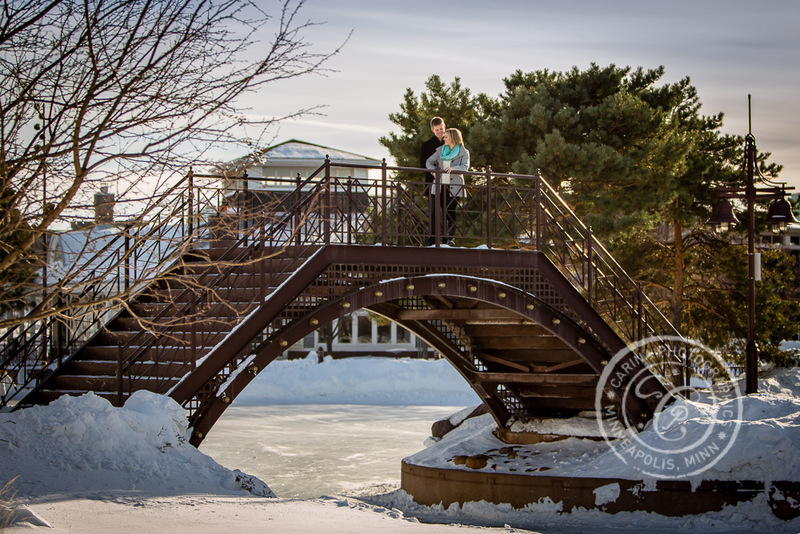 More specifically, he asked her right on the beautiful bridge overlooking the lakes! 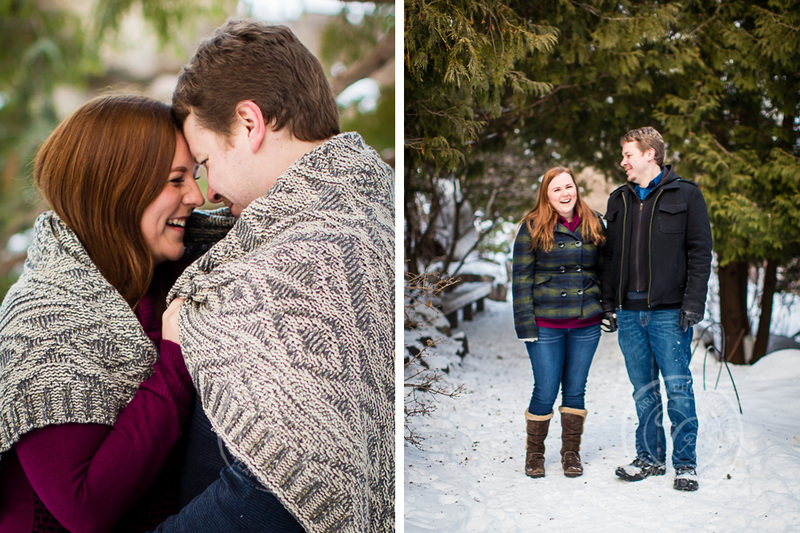 It was a pretty blustery January day for our visit. 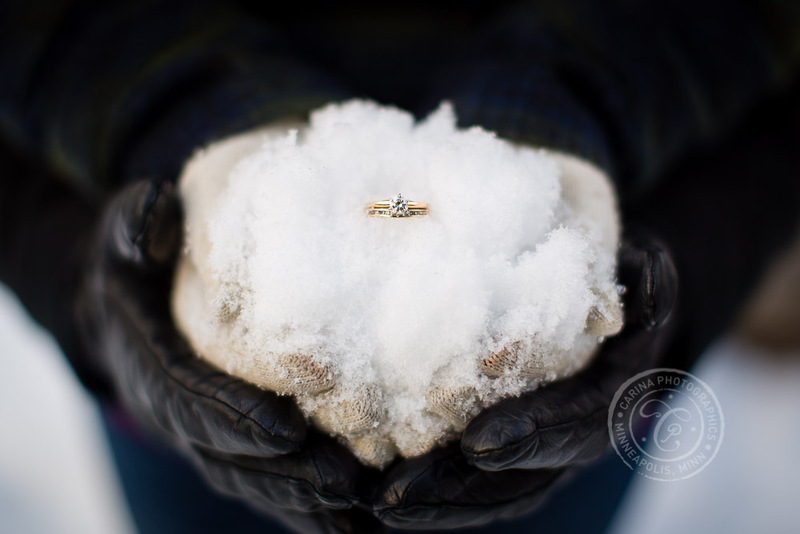 We couldn’t complain too much, as the two days prior to our session saw another polar vortex closing the schools in Minnesota. 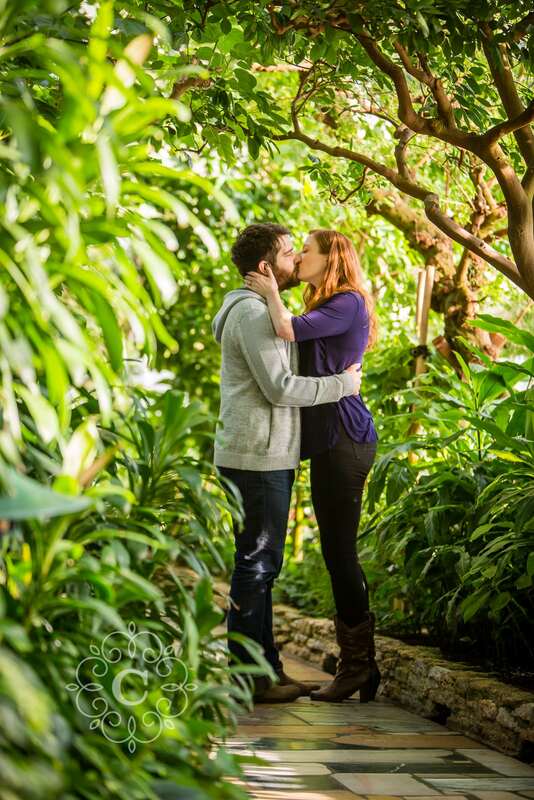 That was the third time this year! 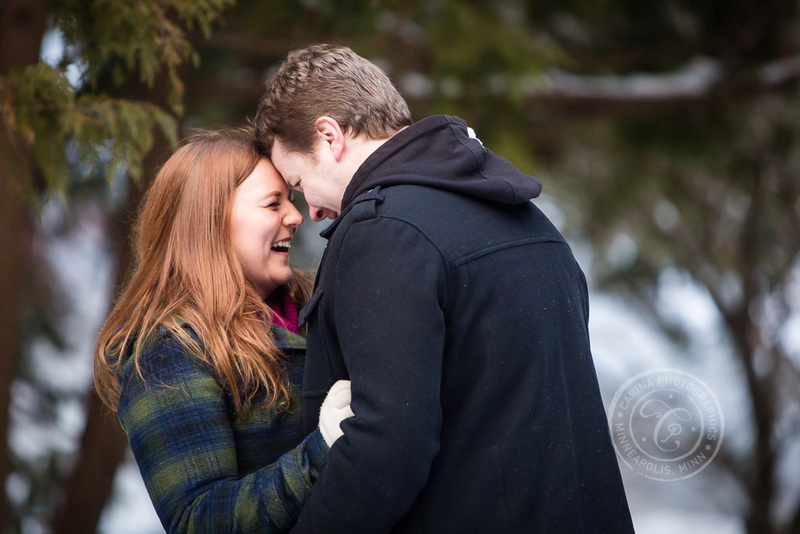 It was a “balmy” 24 degree day, but the wind really made it bitter. 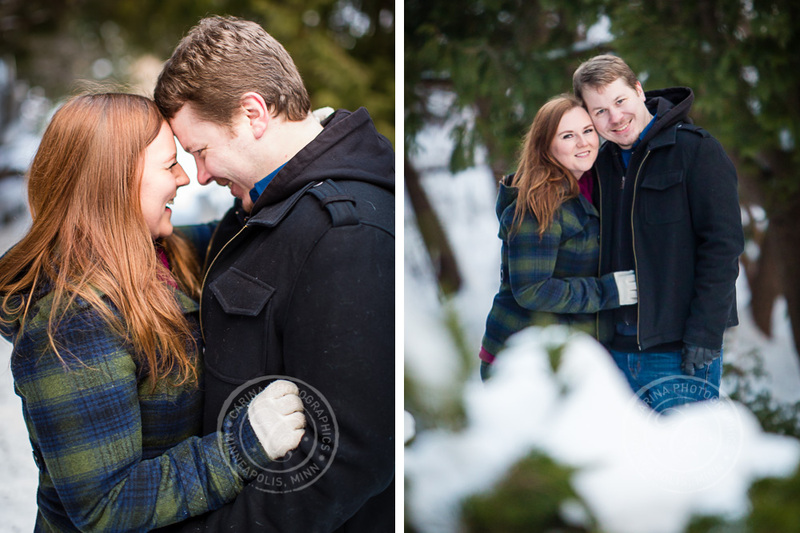 Amanda and Dan were champs though — they were great at throwing off their coats when the time was right to get our photos, they stood on the bridge amid the freezing wind, and they even laid on the ice, all in the name of capturing great photos! 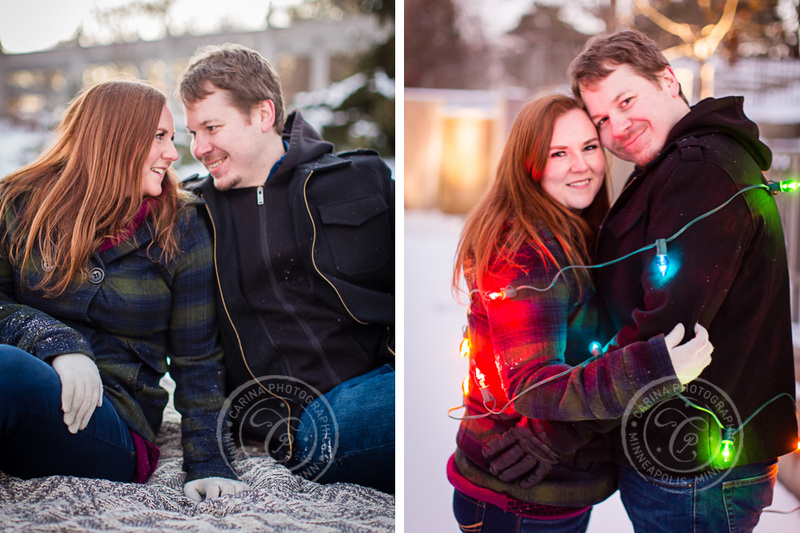 Here are just a few of their images to share. 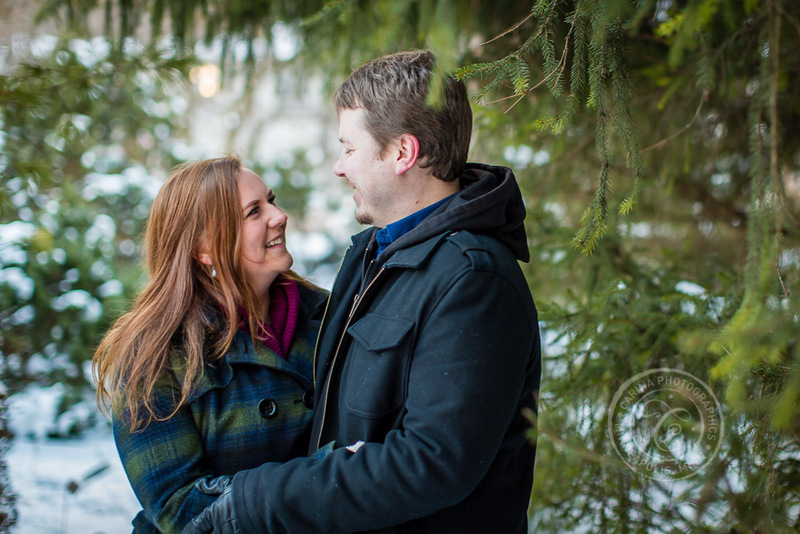 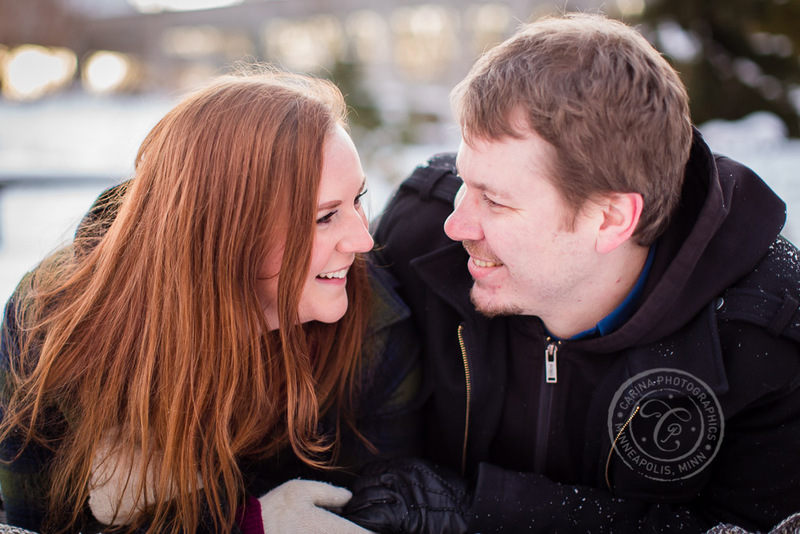 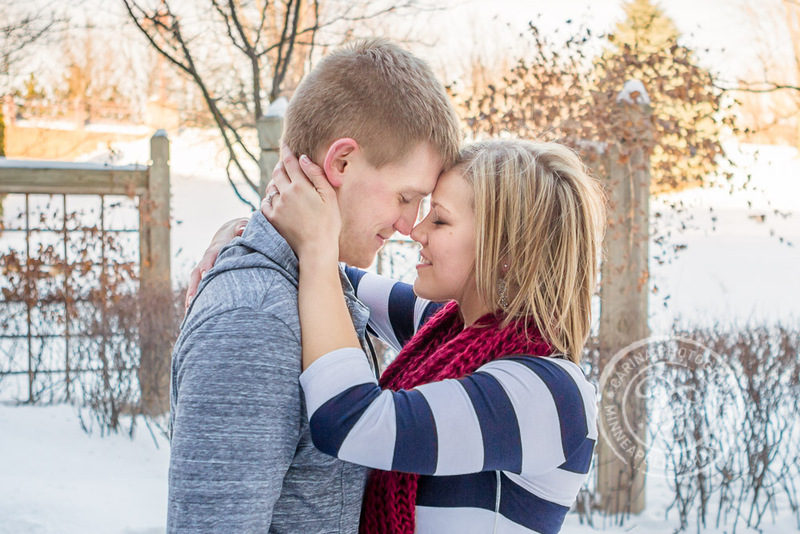 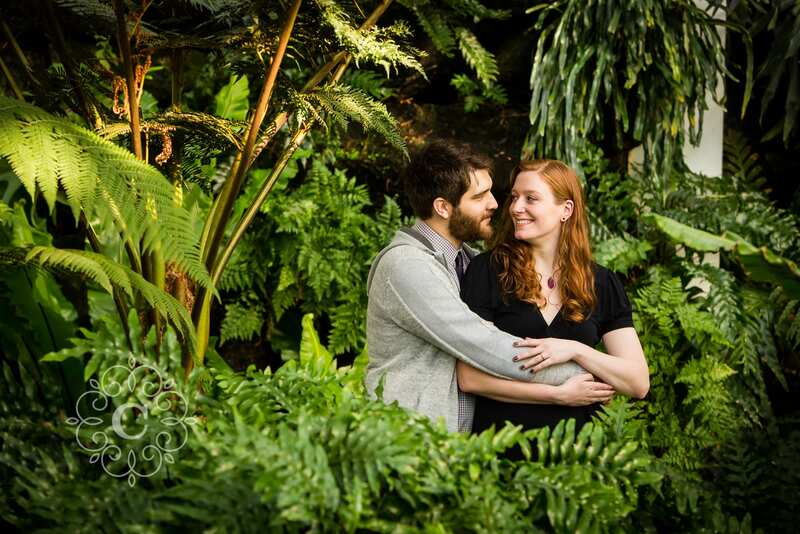 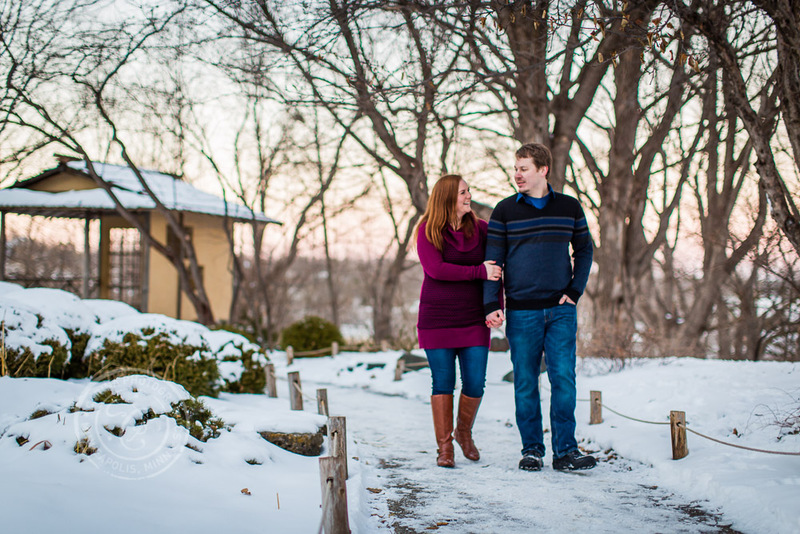 Thanks for working with me as your Minneapolis engagement photographer, Amanda and Dan. 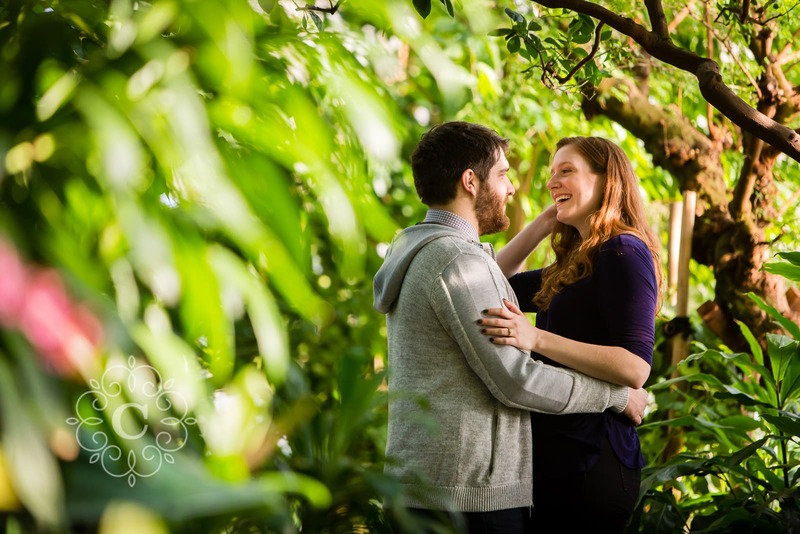 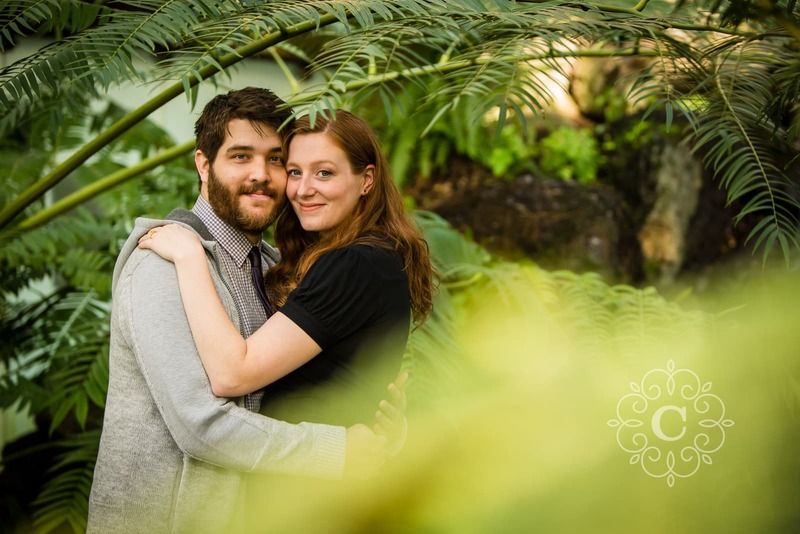 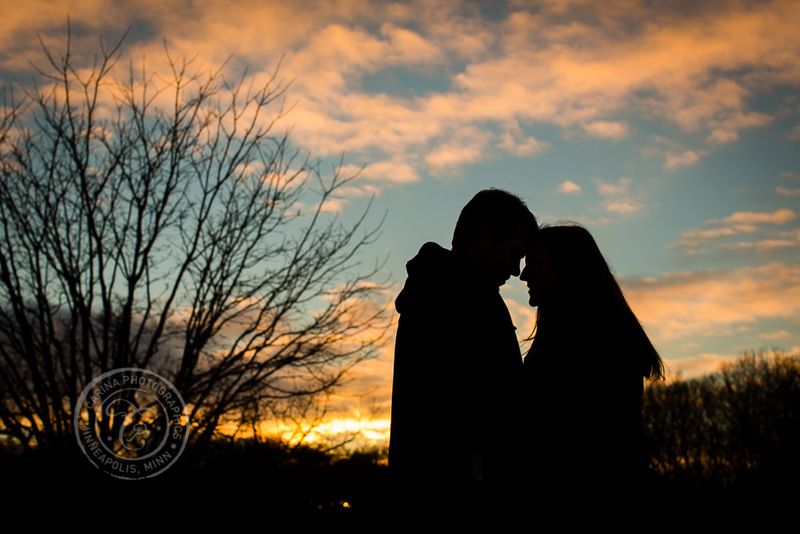 I loved creating your Centennial Lakes Park engagement photos. 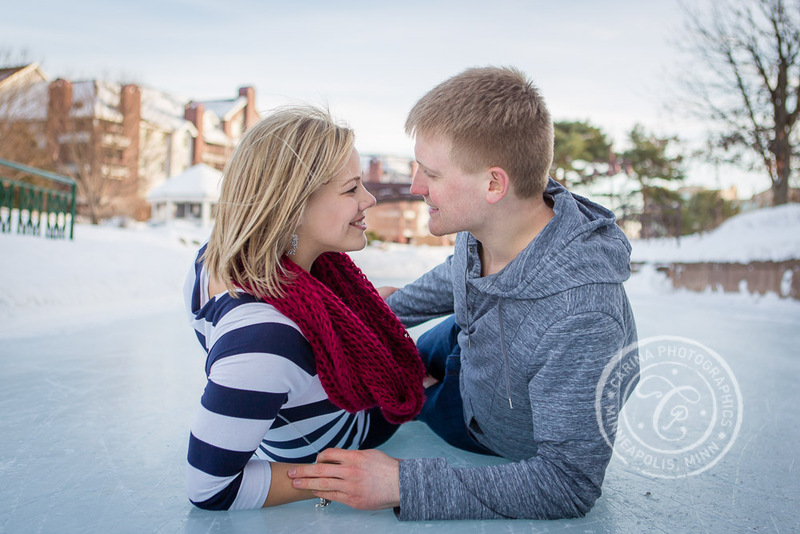 I’m so excited for your big day in August, and I’m pretty sure there will be no sign of a polar vortex! 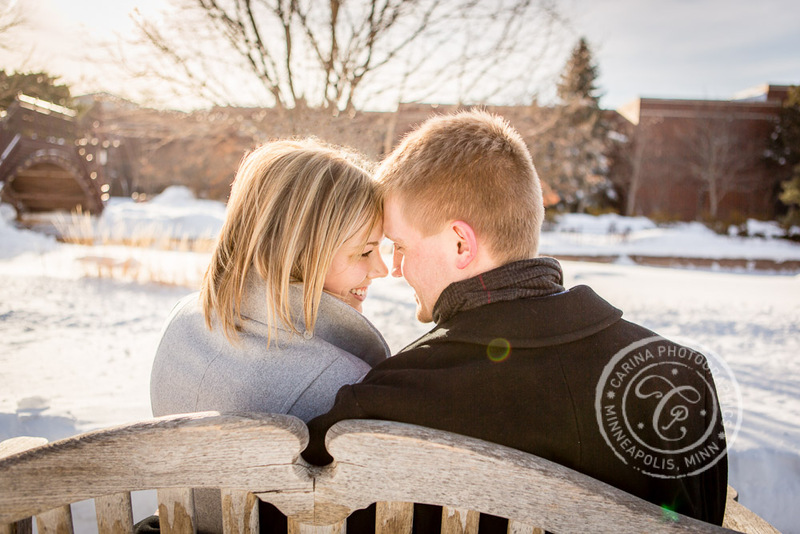 If you’re planning for Centennial Lakes Park engagement photography or prewedding session, contact me soon! 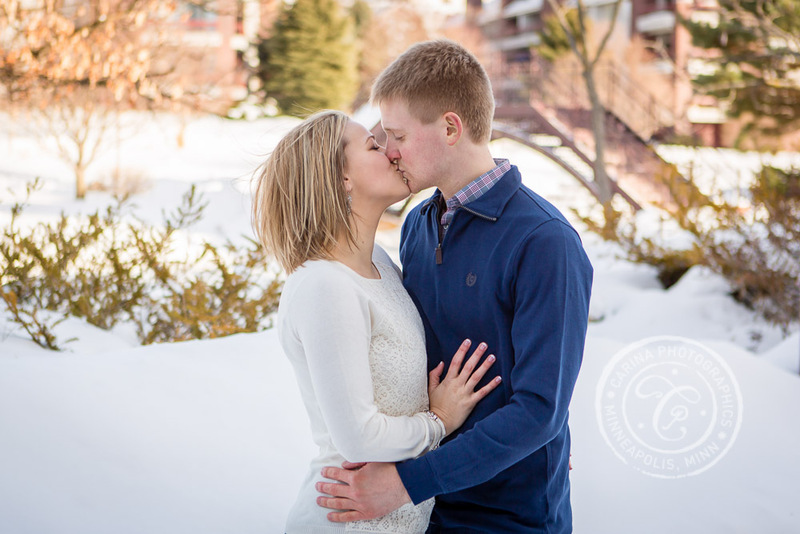 ETA: Check out Amanda + Dan’s gorgeous Olympic Hills Golf Club wedding photos here!